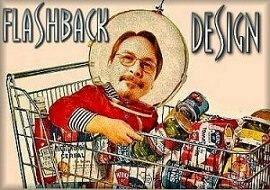 Flashback Design: Sticking things to the Web since 1998! Sticking things to the web since 1998. Your speedbump on the Information Superhighway! A repository of things created by Jef. Hyde; the result of too much unsupervised free time. Web design & graphic services! Plus: The Quit Buddies archives!